I hope you're doing well. 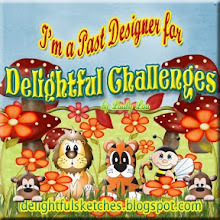 I am late again to share my post for this week's challenge for The Pink Elephant Scrapbook Saturday. This week we have a sweet Pink Print to follow and I used it to create another installment in my son's school memory album. I am, as I have said before, having a lot of fun with this digi-scrapbooking software My Memories Suite. Lisa, the Facebook moderator and creator of the tutorials found on You Tube, has created a tutorial on how to use the Word Art tool. So after watching that video, I created the title on my page. What fun that was and I love how it turned out. The page is simple and I will say, that I did add a couple of more photos to this page later as I needed to squeeze in what I could into this album. I have a two page spread that I want to share with you, too, so be sure to come back later this week when I feature that. 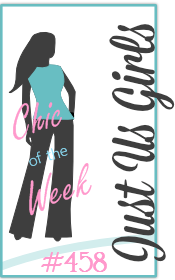 Have a fantastic Monday and please head on over to The Pink Elephant to join us this week. Good Morning - Happy Tuesday! I hope your Monday went very well. Mine was busy, but pretty quiet. I am pretty much the only person in my department that comes into the office. Everyone basically works from home all time. I wish I could, but because I'm new and just got my laptop, I have to tread very lightly with that. Anyway, we have a great sketch designed by Debbie and we're sponsored by Clear Dollar Stamps. 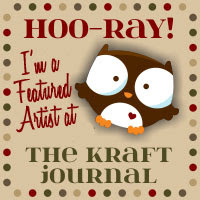 This a great little digi stamp store featuring some fabulous artists. 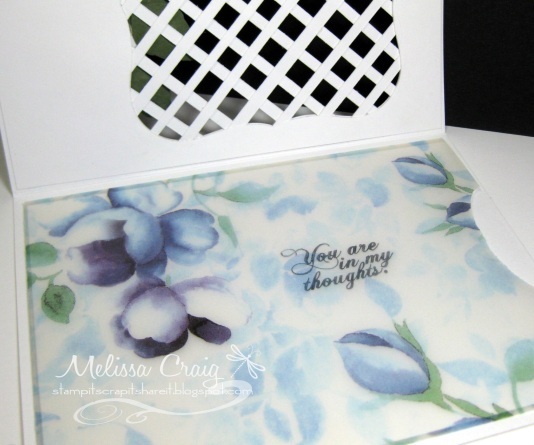 My card features pre-colored images and papers designed by a sweet friend of mine, Deedee Anderson. When Deedee had her own store, I had the privilege of being on her design team. Isn't that a cute duckie. It's so appropriate right now - it's been so rainy here. Please join us this week at TMS. I'm sure you'll enjoy yourself. Hi Everyone! I hope you had a great weekend. I did. It was rather relaxing but over way too quickly. I worked from home on Friday, which was great. I went to work in my pajamas! How freakin' awesome is that? 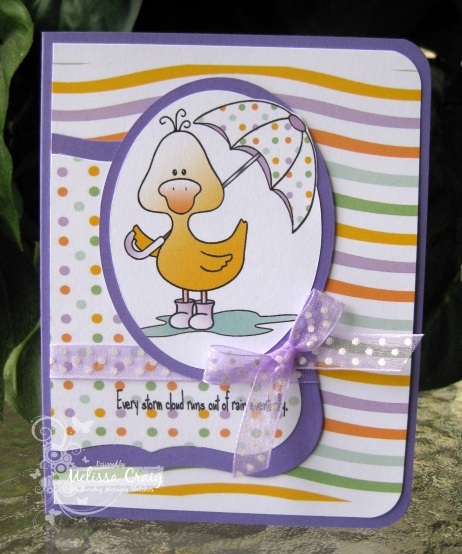 Anyway, this week's challenge is up for TPE Scrapbook Saturday and it's an Anything Goes! 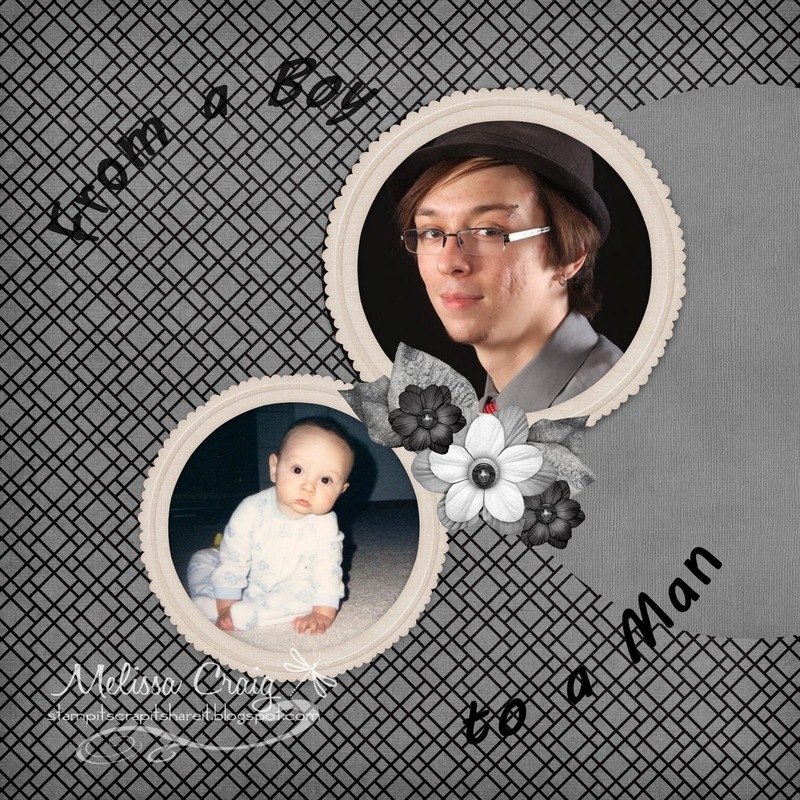 So, I've started a project to create an album.... a yearbook of sorts, for my son who graduates next month. I have compiled his school pictures and some favorite snapshots of friends and I'm putting plenty of journaling blocks for personal messages to be written by family and friends to Brendan. I am struggling a bit with creativity juices so this page that I'm sharing with you took me longer to create than if I had done it with papers and embellishments. 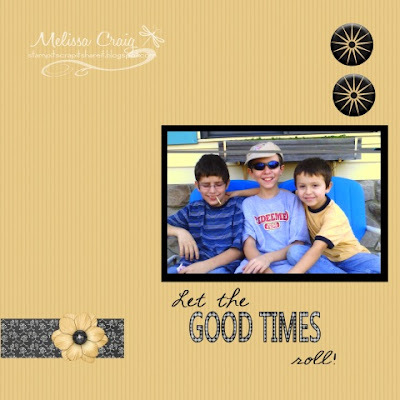 I'm using MyMemories Suite digital scrapbook software and I am learning so much! So even though this page is fairly primitive, it's still very cool! This is Brendan when he was a few months old and one of his Senior pictures. I have learned so much about the Word Art feature after creating this page and watching a You Tube tutorial. I am so pleased with the results, so far. I can't to show you the page I created for next week's challenge! I love it!! Anyway, I am loving MyMemories Suite so much that I will be hosting a give-away here on my blog shortly. I need to get the details on how to do it, but if you can't wait to maybe win this software, you can use my coupon code in the upper right hand corner for $10 off an already low-priced software. It's so easy to use. Well, head on over to The Pink Elephant so you can play along with us! Come on, you know it's time to get those pictures out of boxes! Have a great Monday. Good Morning! Quick post here - I didn't set up my blog posts last night because of a personal matter so now I'm scrambling to get it up this morning and I really should be getting ready for work! This week's sketch is up at Tuesday Morning Sketches and we're sponsored this week by There She Goes Stamps. Yay!!! Here's my take on this week's sketch. My card features one of my favorite TSG sets, What's up Buttercup. I didn't even use Copics to color this - I watercolored. I tried to pretend that I'm Sandra McClain and color like she did. I didn't do as great as she does, but it's not too bad. OK - I really have to run. Have a great day and if I missed anything, I will come back and fix it up later. Have a great Tuesday! Hey everyone! Happy Saturday. Just a quick post here to share my latest attempt at digi scrapbooking page featuring this week's challenge from The Pink Elephant Scrapbook Challenge. This week we're scrapbooking CELEBRATIONS. Last Saturday was Hollyanne's 15th birthday. We had a fabulous day and then picked up her friend for an overnight. They decided that instead of making a birthday cake for her, they were making cake balls. I tried to get them to call them what they are - Cake Pops, but they called them balls because they weren't on a stick. I am finding I really love this digital scrapbooking software. I'm using My Memories Suite and it really is very easy. With all things, you need to learn how to use it, but I find that if you just play with it you can figure out it pretty easily. Just look at my baby girl laughing - she's so happy! I'm still learning, but this is a lot of fun. 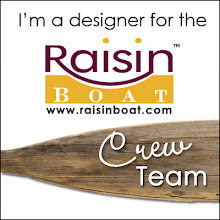 If you'd like to try out this software and save a little money, you can use my coupon code that's in the upper right hand corner side bar of my blog. You'll get $10 off the software which is a great deal at $39.97, but hey, $29.97 is better. 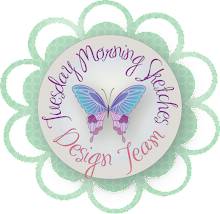 So grab the software, or your papers and embellishments (I still love the traditional scrapbooking method, too) and play along with us at TPE. I'm going to set to work to make a book for my son. I want to create it for his graduation party guest book. I hope you're all doing well. I am happy it's Tuesday because it's time for a new sketch at TMS, it's time for the Judged Challenge and it's time for a great sponsor.... Bugaboo! It's always fun when they're in the house! So the sketch can be a bit challenging (it was for me) but I know you're up for it. The Judged Challenge twist is BIRTHDAY. Now that my birthday season is pretty much done, I figured this would be a fun challenge for everyone. OK, so now you should head on over to the TMS blog to play along! Hello everyone! I hope you had a great weekend. I did. I spent a wonderful day Saturday with Hollyanne for her birthday beauty day. We scored big time... found a lovely new spa down the road from my house, that was having a grand opening special for mani/pedi for $25! With that $25 it included a neck/back massage and a leg/foot message with this lovely green tea oil. It was so nice. Then when we returned home she had a friend over for the night, so I got to stay in my room and play a bit. With great sadness, a friend at work recently had his sister pass, so I wanted to make him a card to express my condolences. 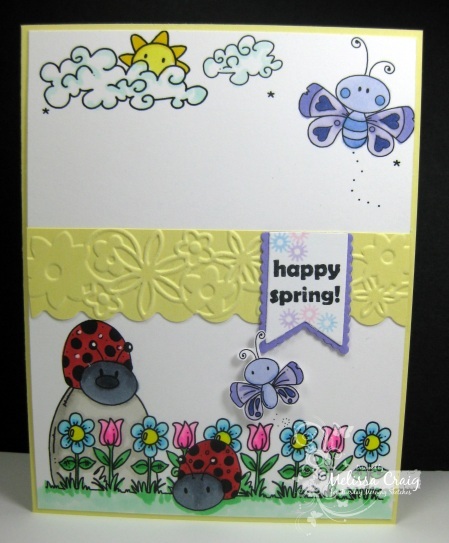 I've been watching video after video to learn to how to create flowers from punches and dies. There are not too many You Tube videos for calla lilies, but I think I came close. What do you think? 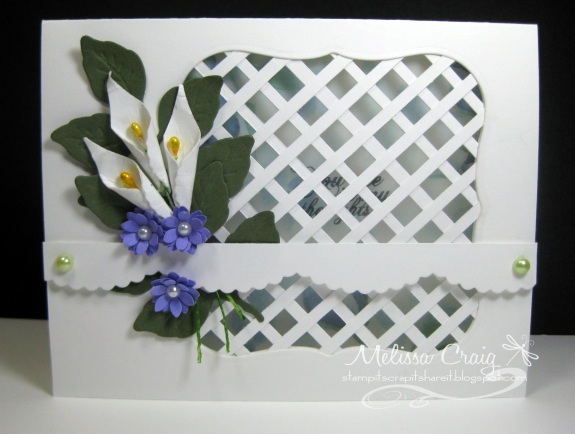 I created a lattice card, again after watching several You Tube videos. I made the calla lilies from a leave die from Spellbinders and the little flowers are from a small flower punch. I used a border Die-namics die that I bought secondhand from a friend. So I made a envelope using this beautiful vellum paper that I've had for years. It's 9 x 5 1/4, scored on the short side at 2 1/2 and 6 1/2 and 1/2" along the long side. Cut out the 1/2 pieces on the two 2 1/2" panels, then fold the panels in adhering with Scor-Tape and then fold up the bottom to close it and adhere. Because this is the part that is going down on the card, you won't see the adhesive at all. Then I notched the open end using an oval punch. Then I cut another piece of card stock down to fit inside. I wrote my message on it and slipped it in so that the writing is to the back of the card - that way you don't see it thru the lattice. I am pleased with the results, I think it's a lovely card. Good Morning! Happy Tuesday and you know how much I love this day. We have a new sketch at TMS and a great sponsor that's new to TMS. We have CAS-ual Friday Stamps sponsoring! A huge thanks to Michele for agreeing to sponsor. 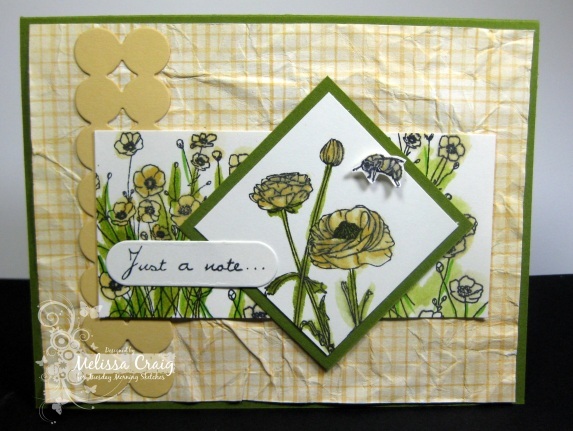 I enjoyed playing with a new border die, well new to me - I bought some used dies from my friend Tangii, so I really had a fun time incorporating it into this week's sketch. I also am playing along with CAS on Sunday challenge - flutterbys. Now head on over to TMS to play along with us and have your name in the hat to win the fabulous prize CAS-ual Fridays is offering.